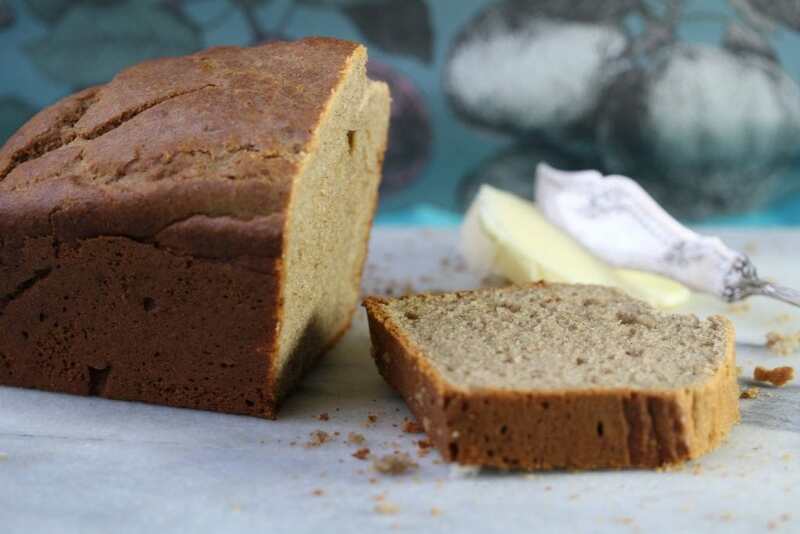 Simple Gluten Free Dairy Free Banana Bread (With No Sugar) | The Free From Fairy. 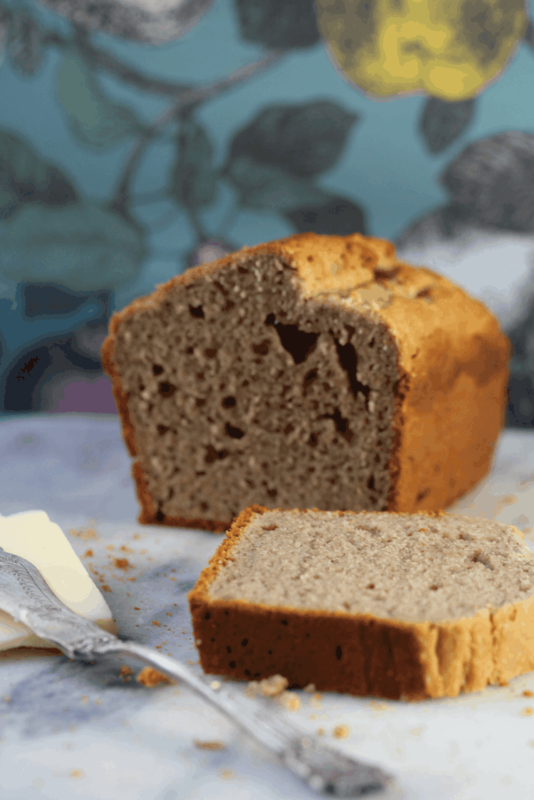 This simple recipe for gluten free dairy free banana bread has just six ingredients. Combine them together in one bowl and then bake. It can’t get simpler than that! Oh my! Why is it that most days I seem to spend trouble shooting rather than actually moving forwards!? The photographs for this simple all in one banana cake recipe have been rather tricky to find. My ongoing problems with Apple left me with all my photos deleted. Thankfully, I had taken a backup via My Passport (for those of you who don’t use Apple computers, this is a way of taking a full back up onto an external drive) and was able to retrieve all but a few of them. Anyway, onwards and upwards. I seem to be learning in life that it’s best to teach yourself how to do as much as possible yourself to avoid unnecessary problems. Due to said problems I’ll keep this post short and sweet. Who wants to read my ramblings anyway? This gluten free dairy free banana bread is so easy to make you could do it with your eyes shut. I don’t know about you, but banana’s are not keeping well in the current UK heat so this is the perfect way to use them up. Just chuck everything together, give it a stir and bake. I personally like a slice of this slathered in (goats) butter. Why goats? Well, because in my ‘old age’ cows products don’t seem to agree with me any more! How can I make the recipe suitable for vegans too? If you want an egg free version then replace the eggs with flax or chia eggs (1 tbsp ground flax or chia seeds with 3 tbsp water per egg to replace). The result is a more dense cake but equally satisfying. If you want to ‘jazz’ or sweeten the recipe up a bit add raisins or dark chocolate chips. The unadulterated version is great for breakfast. Nobody argues with having cake for breakfast do they? As always, I love to see the photos of your creations so do share them on social media. And if you like this recipe then I’m sure you’ll like this one for gluten free dairy free banana muffins. Ooo good! Let me know what you think! Thanks for visiting Monika. Yes I think bananas are quite sweet enough too! Ah thanks for having me Kirsty! My son is allergic to coconut. Could I use rice bran oil or olive oil? He’s also allergic to egg so I would replace with flax. Would be really grateful for best alternatives you think I should try instead? Hi Lindsay, a closer sub would be to use dairy free margarine. I haven’t used oil liquid at room temperature but it may just make it more moist. Let me know how you get on! How much is the 250g of flour in cups? Hi Desiree, I know you aren’t going to want to hear this but I never recommend cups for gluten-free baking…they just aren’t accurate enough. I would highly recommend investing in some scales. Can i ask about the banana size?? And also the almond flour goes well with this recipe? Hi there. It doesn’t matter too much! I’m not sure what you mean about the almond flour? Hi Vicki! I love this recipe and have baked it many times and I always seem to have an issue getting it baked right the way through. I wondered if you have any advice for me please? Hi Charlotte. What flour are you using? 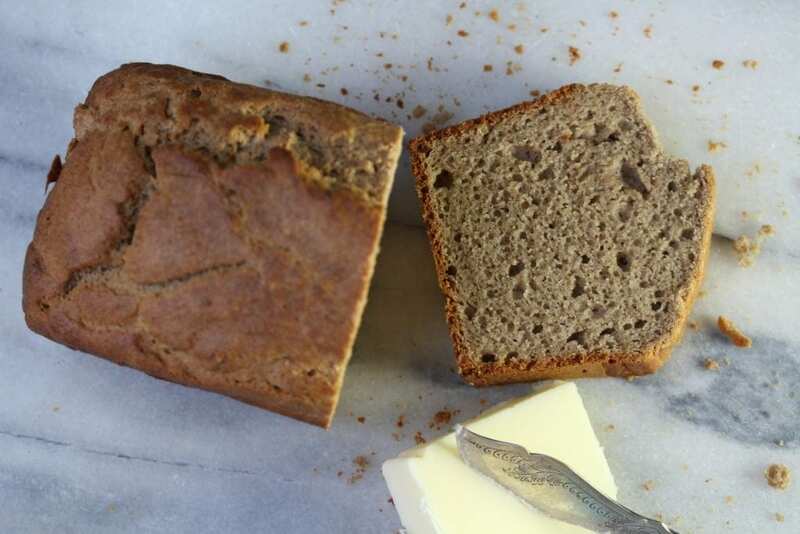 I created the recipe with my wholegrain gluten free flour…and it works perfectly. If you are using a different brand of flour (I don’t recognise your name as one of my customers) then the results won’t be the same I’m afraid. Most gluten free flour blends are made from a mix of gluten free starches. These can produce results that are rather sticky which could be the issue. Let me know what you are using and I’ll see if I can help. When baking gluten free the flour blend you use is critically important because unlike wheat flour all gluten free flour blends are different and will get different results. Hey, I’m extremely excited to try this recipe. However I’d like to know a few things, is it possible to replace the gluten free flour with rice flour as I am unable to have any wheat. Not all gluten free flours are the same and consists of various blends, thus resulting in different bakes. What would be the best single blend substitute? Thanks so much for sharing this wonderful recipe, do get back to me as I’d love to try this recipe ASAP! Those bananas need to be used lol. Also I’m from cape town South African and we might not have certain gluten free items available in our grocery stores, so I find it hard to bake goods with blended GF flours. All gluten free flours are wheat-free. That’s not always the case. Gluten free flour does sometimes have gluten free wheat starch in! 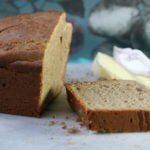 Greetings from the UK – Tried several gluten free dairy free receipe for banana bread and this was by far the best ! Used the flax version and I added a couple of handfuls of chopped dried pitted dates to add some sweetness and it was Ab Fab ! Thanks for sharing !